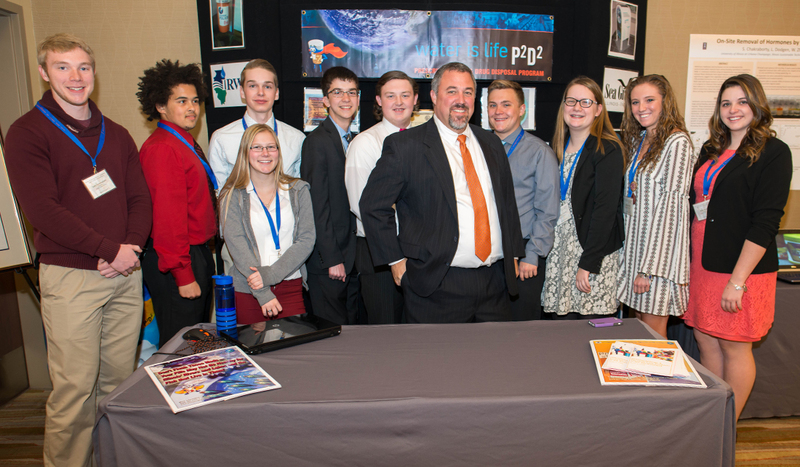 The Pharmaceuticals and Personal Care Products (PPCPs) in the Environment conference at the I Hotel in Champaign, Illinois on Monday welcomed dozens of researchers, officials, academics, and high school students. The 10 students from Pontiac High School in Illinois understood very well the hazards PPCPs pose to the health of people and the environment. That’s not at all surprising because they are part of the P2D2 (Pontiac Prescription Drug Disposal) program created by their teacher 45-year-old Paul Ritter who’s been teaching for 22 years. Ritter developed the program nine years ago after failing to come up with an answer to his wife’s question about what to do with some unwanted medication they had in their home. The purpose of P2D2 is to provide communities with a proper method of pharmaceutical disposal that effectively reduces the misuse and abuse of pharmaceuticals as well as improves water quality. Since 2007 Ritter can boast the program’s success not just in the United States, but in six additional countries. Millions of pounds have of medicine have been properly disposed of and laws have been enacted to prevent medications from getting into the environment and into the wrong hands through the use of P2D2. “My students help perpetuate the national model—they established the national model,” Ritter declared at the conference. Senior Jacob Jiles who took the class with Ritter just to get another science credit knows he got much more out of the experience than he was expecting. “Cumulatively with the program we’ve eradicated 3 million pounds of pharmaceuticals, so that means 3 million pounds that have been taken out of the streets and or the water system,” Jiles said. IISG in conjunction with the Illinois Sustainable Technology Center organized the conference with funding from University of Illinois Extension.